There are many good restaurants in Santa Maria and it was hard to whittle it down to just our 5 favourites. We've tried to mix it up a bit so that there is something for everyone, from quirky vegan eateries and casual cafes, to the perfect romantic location for a special evening out. 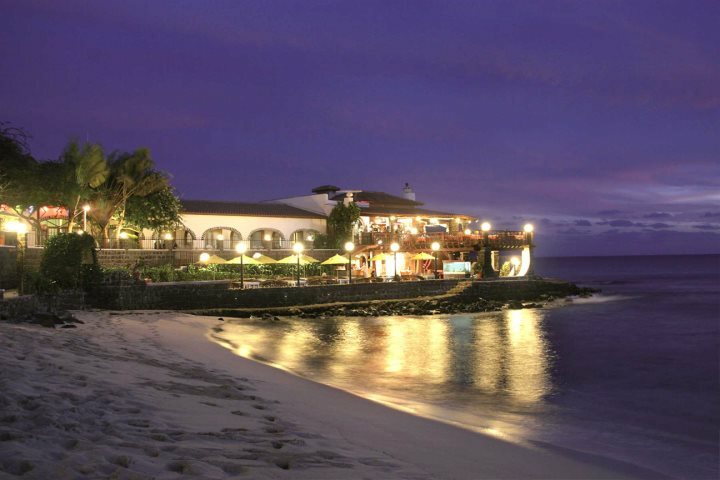 This wonderful restaurant built on a rocky outcrop, allows you to dine above the waves, with views out to sea and along the vast sandy beach of Santa Maria. With great seafood and steaks, their extensive menu has something to suit most budgets. While the service, food and atmosphere are all wonderful, it is the setting that really makes Farolin so special. Booking advisable in the evenings. Tel: +238/ 242 14 14 or 242 21 00. A colourful and quirky restaurant with painted crates and cushions for seats and rainbow patterned hammocks. This wonderful little gem is off the beaten path, but well worth tracking down if you enjoy homemade, wholesome food. You'll not see any meat dishes on the menu but instead expect to find natural fruit smoothies, fresh fish, vegetarian, vegan and gluten free dishes made with love. At Chez Pastis you'll find great Italian food, excellent service and great wine. Tucked between two buildings, this quirky tiny restaurant is actually in the open air, under a grape vine, with just 16 or so seats. It's advisable to book in advance, tel: +238 984 36 96. Evenings only. Expect great pizza, reasonably priced drinks, live music and a lively atmosphere at Ocean Cafe. If you are feeling hungry you can even try a never-ending pizza and eat as much as you like. The usual burgers, fish 'n' chips and the like are also on offer and after eating, the music continues on into the night. An unpretentious little bar, serving good cocktails and great food from burgers and curries to fresh fish. You'll find helpful staff and a friendly atmosphere here, plus one hour's free WiFi - if you need more just ask and they'll happily give you another voucher. Live sports are shown on the TV inside. Closed on Thursdays. Whether you are looking for a romantic evening for two, a family lunch out or to dance the night away, there's something for everyone in Santa Maria. 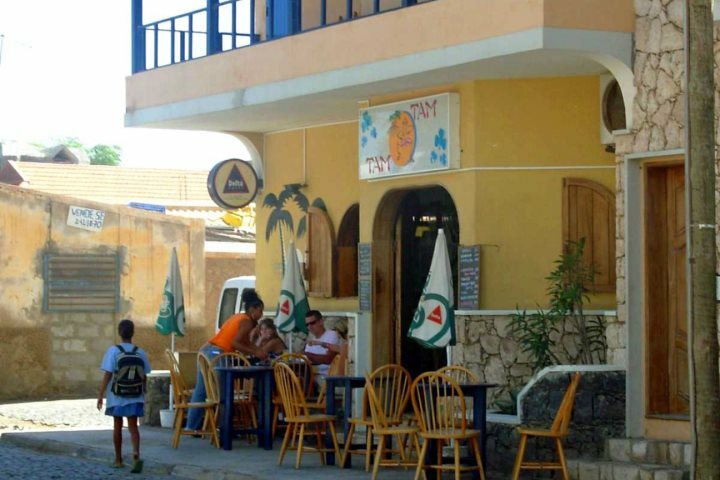 For ideas on where to stay in Santa Maria check out our website today, CapeVerde.co.uk.